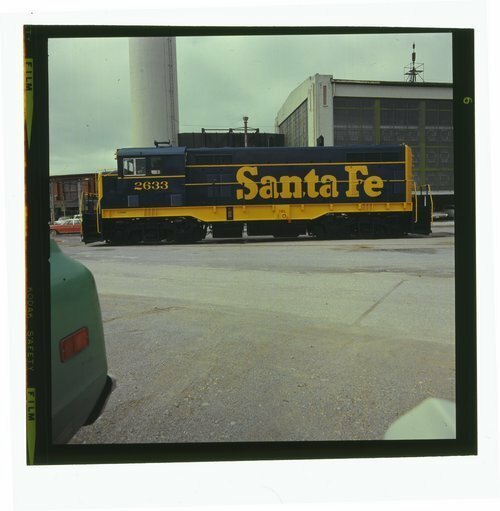 A slide of ATSF #2633. This locomotive was a CF-7 Rebuilt 200 Class F-7. Santa Fe's aging fleet of 200-series F-Units needed rebuilt since the original configuration was not suited for switching service.